Since childhood suspense and mystery has been my genre in reading. I have devoured greedily on Nancy Drew, Famous Five, Hardy boys as much as I have on Sherlock Holmes, Sidney Sheldon and Agatha Christie. And add to it history my favourite subject and make it a biography, it’s like a never before offer for me to difficult to resist. No wonder when read the blurb of this book I knew I had to read it for obvious reasons. This is my first book by the author and I was a bit apprehensive about the way it would turn out. Especially for the subject and genre are both my favourites. The author has undoubtedly done his homework very well behind this book giving us an impeccable read which is thoroughly enjoyable and leaves us on a high asking for more. The mysterious Mr. Jacob by John Zubrzycki is about a person called Alexander Malcolm Jacob who was a famous purveyor during the British rule in India. Like every powerful ruler, he had seen the best days of his life enjoying the riches and fame that came along with it. But as time passed he also faced a downfall in his success after which he could never rise again. The story is narrated with such minute details that it makes the book a nail biting read ensuring an edge of the seat thriller. 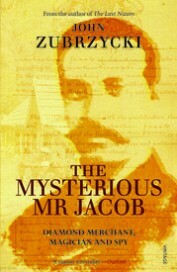 Mr. Jacob is known for his mysterious ways of living and dubious acts to earn a quick penny. He was treated like the confidante of so many viceroys and maharajas yet he died as a pauper with his grave being obscure today as nobody knows where he was buried. Though a biopic there are instances in this book which make you feel you are watching some Hollywood movie based on some mastermind who is out to hoodwink everyone he can. It’s a fun read making you curious as to what happens next with every page that you turn. People who don’t enjoy biographies / historical nonfiction might find some portions dull and boring as the details tend to make it seem like a chapter in our history text book where we don’t care what. Overall a book worth reading atleast once. 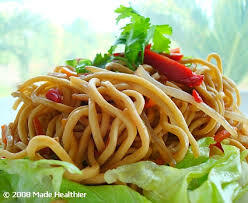 This book is like a plate full of noodles - yummy, tongue tantalising, delicious and filling! !